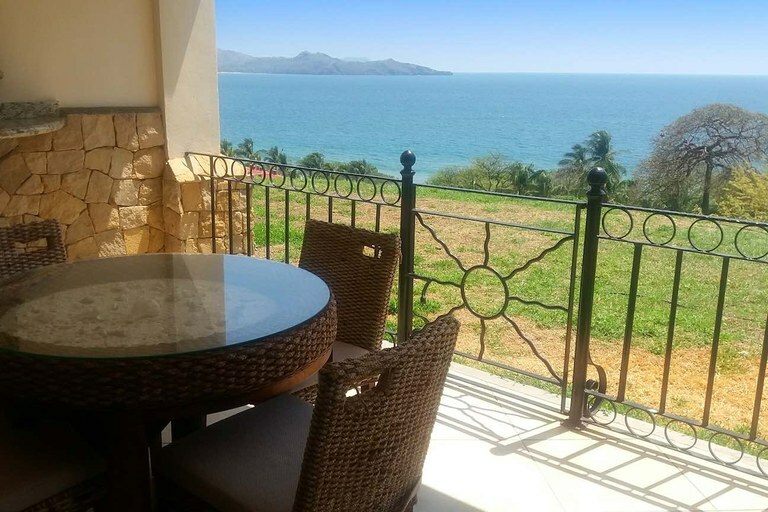 A beautiful hidden jewel, La Meridiana is a conveniently located Condo Project located just past Huacus in the "La Josephina" area. 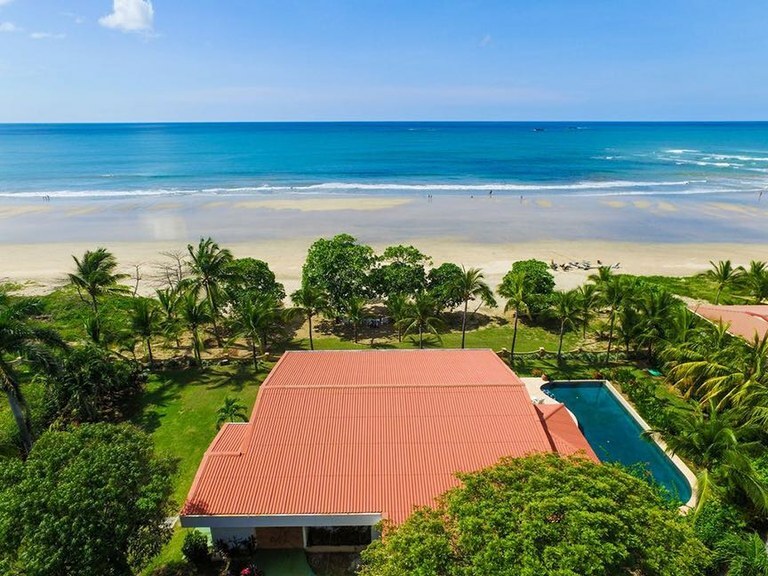 Only a 15 minute drive to either Tamarindo or Flamingo so gives great access to all you need plus the site is very quiet and "off the beaten track. This 2 bedroom 2 bathroom home is fully equipped and has been completely remodeled and finalized in Dec 2018. 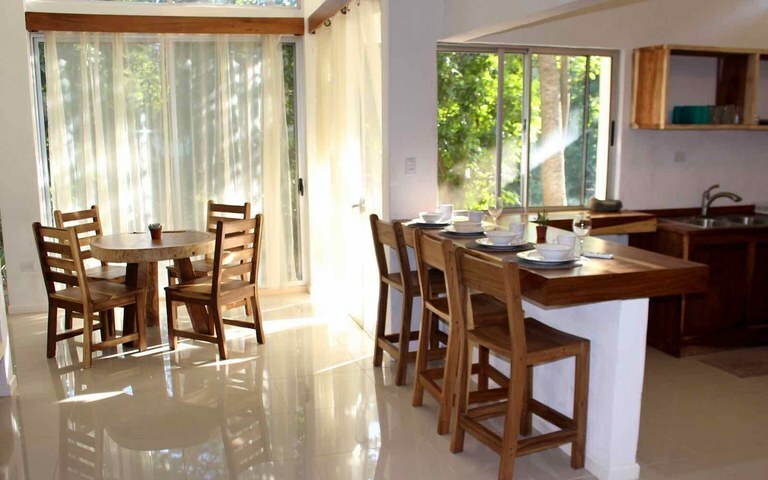 The spacious kitchen of this modern contemporary house services the great room and the outside seating area. The Aqua residential community consists of 5 units scattered across 4 consecutive riverfront lots surrounded by a security wall and fence. Aqua is a open living concept, which incorporates water and animal sounds throughout the year with gardens and a wade-pool and fountain for everyone to enjoy. Monkeys have made the tree in the center of the property their favorite hang out spots now for years. This 1 Bedroom Efficiency has been completely remodeled and finalized in Dec 2018. This community consists of 5 units stretching across 4 consecutive riverfront lots surrounded by a security wall and fence. Aqua is a open living concept, which incorporates water and animal sounds throughout the year. Monkeys have made the tree in the center of the property their favorite hang out spots now for years. All units have high ceilings with large windows to all glass walls allowing the stunning canopy to become part of every living space in this community. Every house was designed to fit each particular location to allow for optimal views and privacy through architectural and landscaping design. Each Property is named after the wood it has been incorporated with. Every tree that was used for the highend woodfinishes and furniture has fallen on the property during Otto and Nate tropical storms. None of the wood has been cut but all fell naturally and the owners have taken great detail and investment to furnish the units with the greatest woods in a sustainable conscious way. The community features include a large secured parking area, a large fountain, 2 common laundry rooms, a bodega for equipment safekeeping. The newly installed fake grass throughout the common areas with tropical landscaping provides for shade and privacy throughout the property for enjoyment by all residents. This 2 Bedroom 2 Bath has been completely remodeled and finalized in Dec 2018. This community consists of 5 units stretching across 4 consecutive riverfront lots surrounded by a security wall and fence. 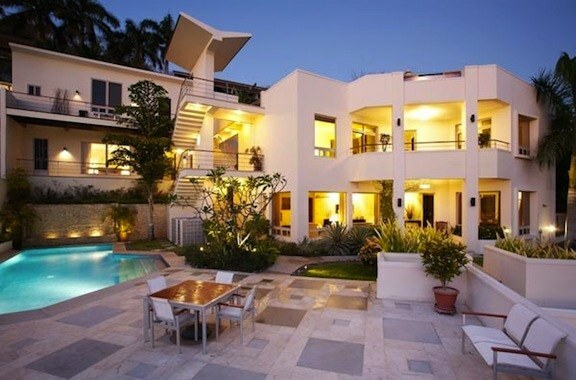 Aqua is a open living concept, which incorporates water and animal sounds throughout the year. Monkeys have made the tree in the center of the property their favorite hang out spots now for years. All units have high ceilings with large windows to all glass walls allowing the stunning canopy to become part of every living space in this community. Every house was designed to fit each particular location to allow for optimal views and privacy through architectural and landscaping design. Each Property is named after the wood it has been incorporated with. Every tree that was used for the highend woodfinishes and furniture has fallen on the property during Otto and Nate tropical storms. None of the wood has been cut but all fell naturally and the owners have taken great detail and investment to furnish the units with the greatest woods in a sustainable conscious way. The community features include a large secured parking area, a large fountain, 2 common laundry rooms, a bodega for equipment safekeeping. The newly installed fake grass throughout the common areas with tropical landscaping provides for shade and privacy throughout the property for enjoyment by all residents. 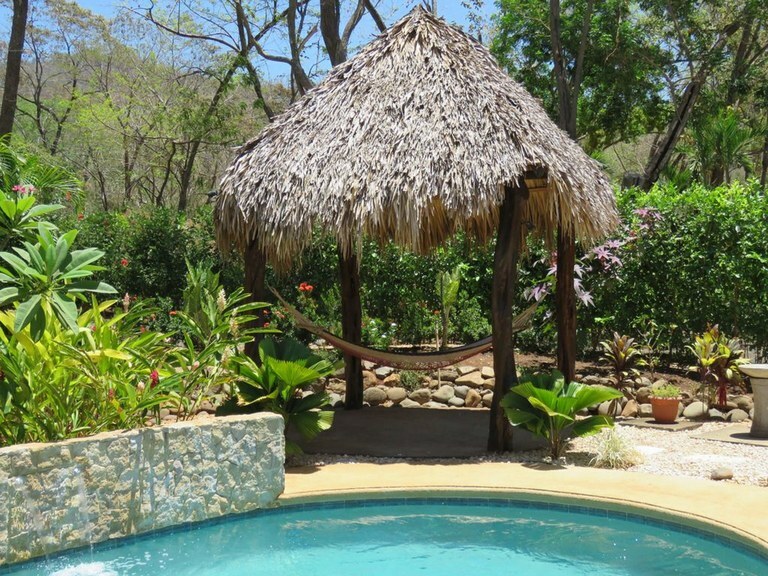 This house with one bedroom and one bathroom is located in Playa Potrero, Guanacaste Costa Rica, in the county of Santa Cruz. 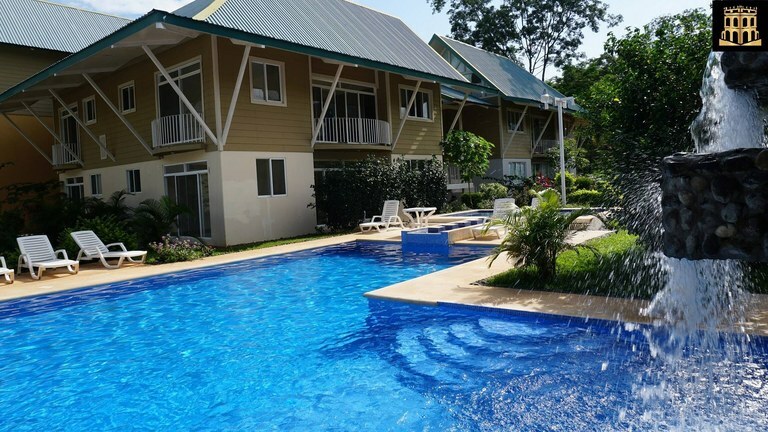 This near the coast property with garden, greenbelt, pond, river and wooded views is situated in the tropical dry forest of Costa Rica. 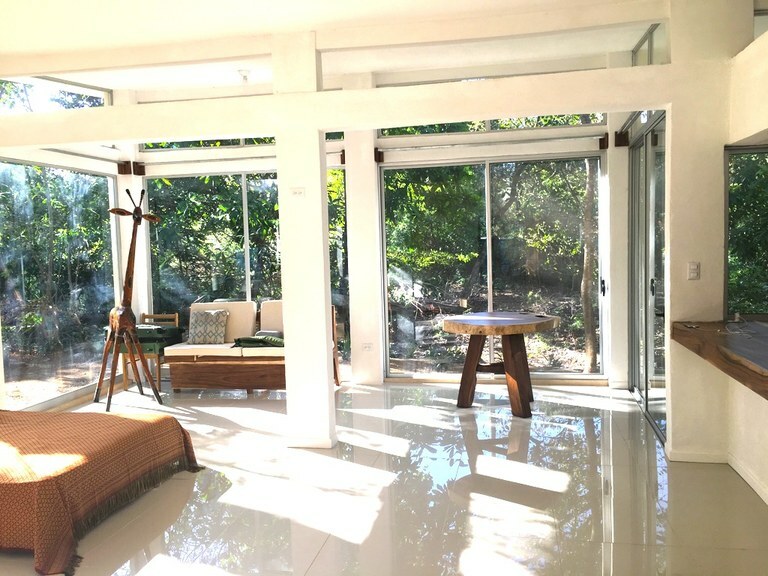 The land area of this house is 2,000.00 square meter (21,527.74 square feet), and it has a living space of 60.00 square meter (645.83 square feet). This house has air conditioning through a wall unit. This house is available furnished. 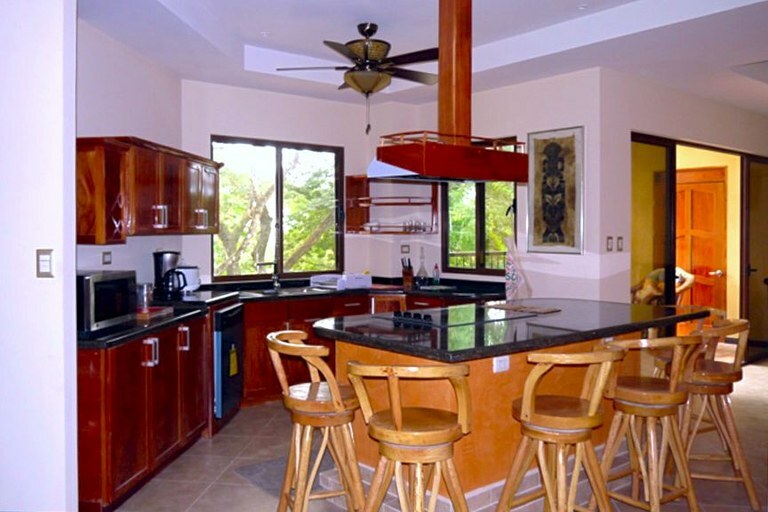 This property includes a coffee maker, an oven, a refrigerator, a stove and a toaster oven. The property also features a relaxing jacuzzi. This house comes equipped with cable internet. Pets are OK. 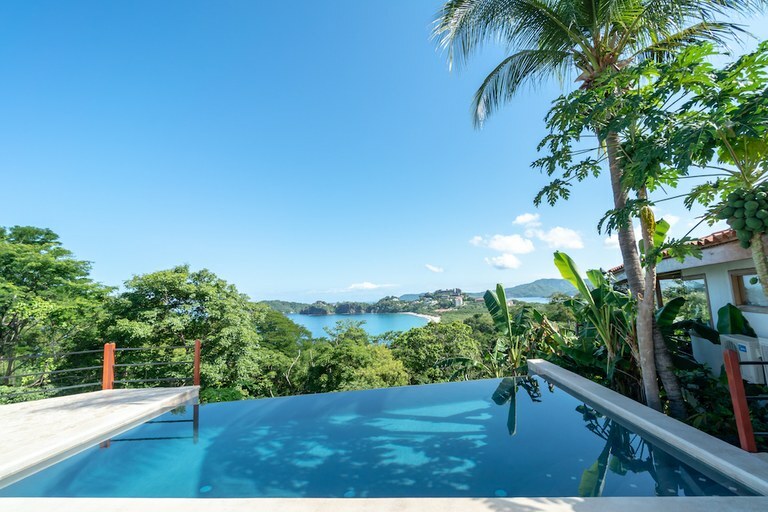 This spectacular ocean-view property is located on the prestigious north ridge of Flamingo, Costa Rica. 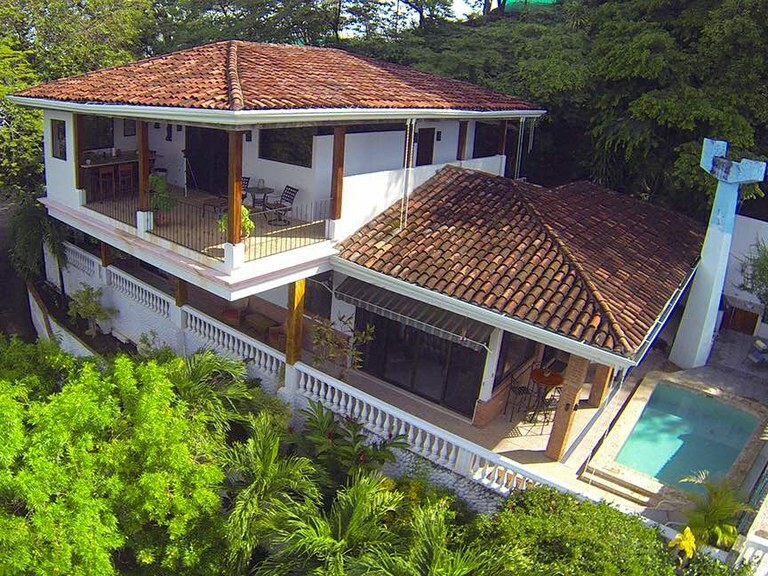 Casa Las Brisas has 4 bedrooms, 3.5 baths, a newly renovated gourmet kitchen, private pool and lush, tropical gardens. 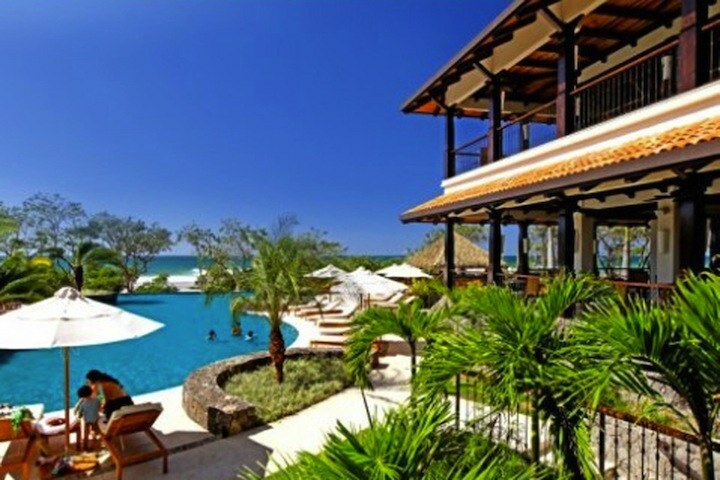 The two master suites face the Pacific Ocean and 1 mile of fine, white sand beach. 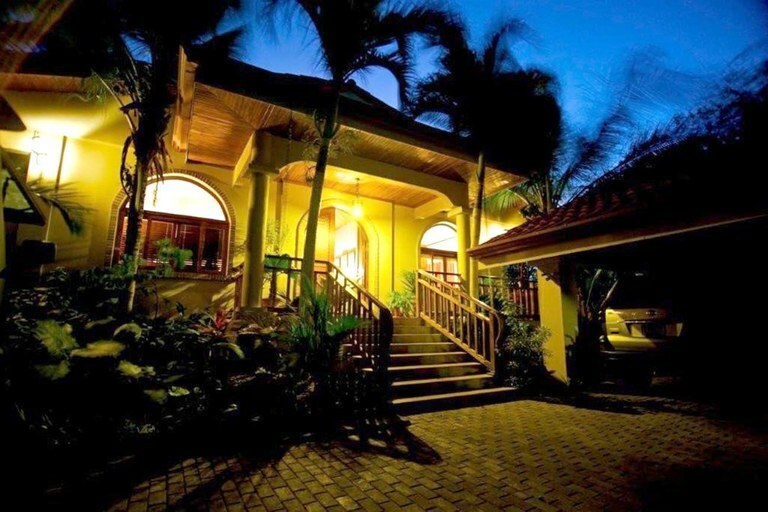 Our luxury villa is an ideal place to stay for family vacations, a romantic getaway, or a couples trip. 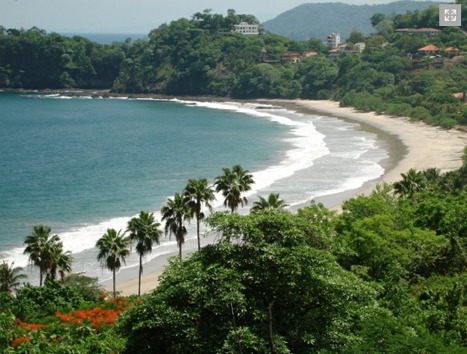 Make Casa Las Brisas your home away from home in beautiful Costa Rica! 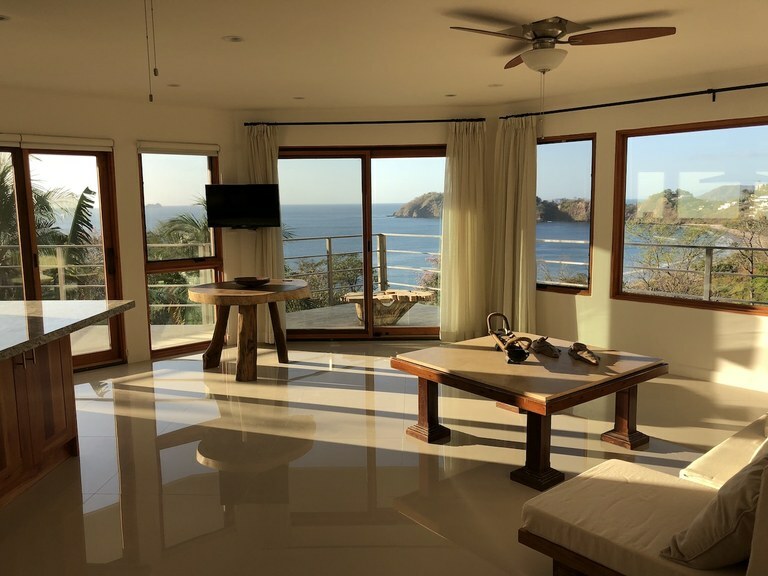 This quaint, 2 bedroom beach-cottage home is located right on Playa Grande with perfect surf breaks just footsteps from your living room. The house is fully furnished, air conditioned and has 2 king bedrooms that comfortably sleeps 4 people along with a fully equipped kitchen, wifi, TV and local area telephone. 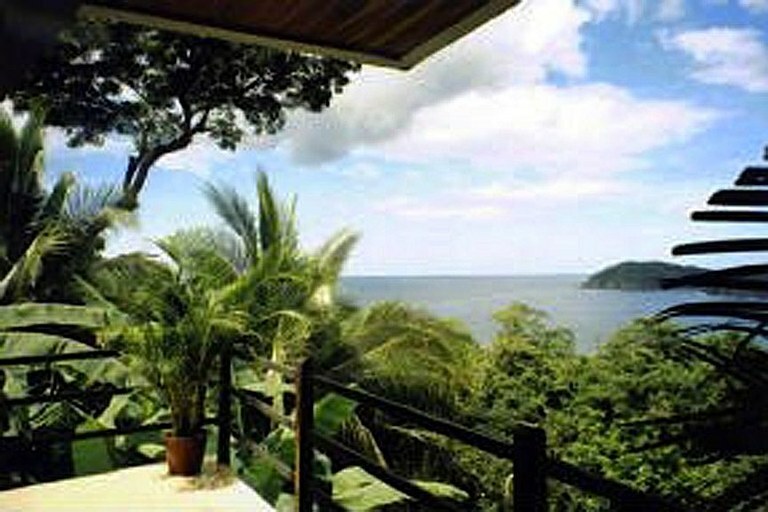 Enjoy the beach, garden and ocean views from the back patio and go surfing any time you feel the urge. 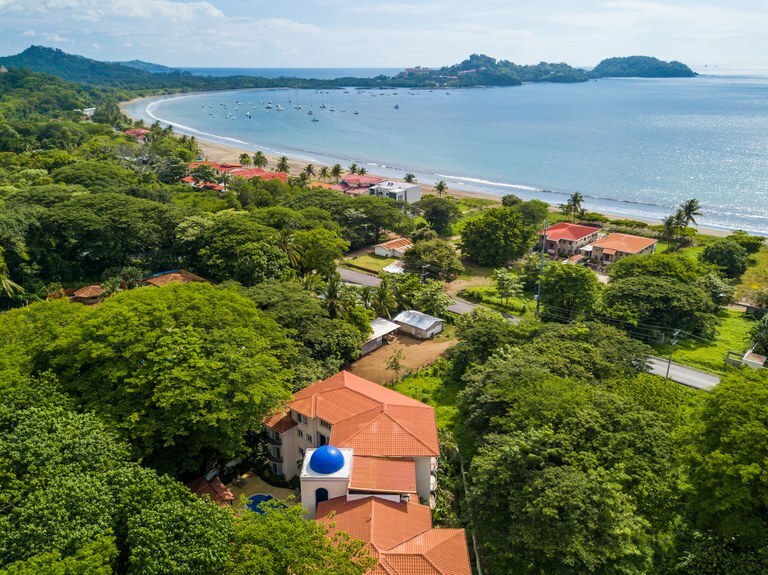 Palm Beach Estates is a quiet, private community in Playa Grande with a supermarket, surf school and several restaurants within in walking distance. 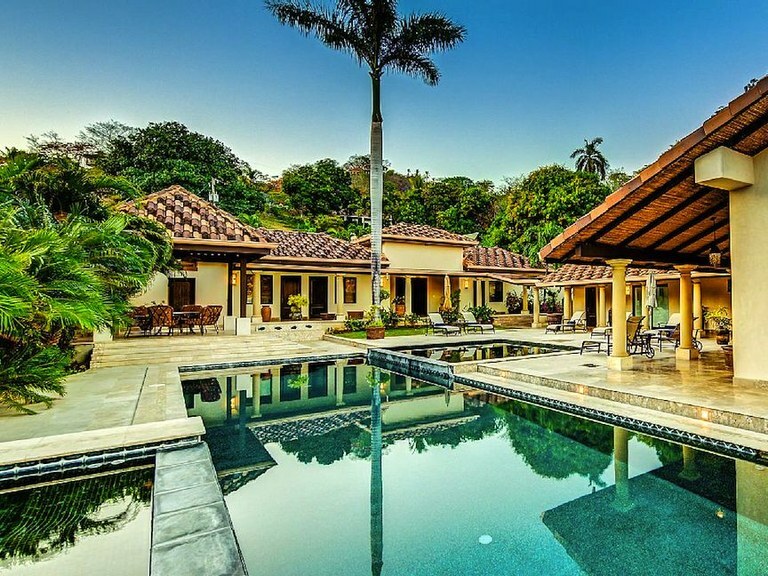 This expansive 3,875sqft fully furnished and beautifully decorated home in Ventana, Guanacaste will accommodate a large family, up to four couples or your friends in a remarkable, serene setting within a few strides of Ventana Beach in Playa Grande on the Pacific side of Costa Rica. 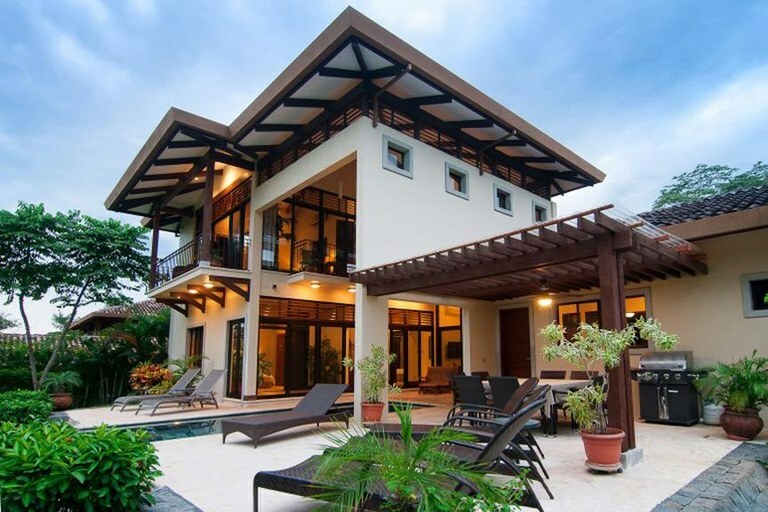 Large bedrooms, each with private bathrooms/showers, impressive living room, full ultra-modern kitchen, inside and covered outside dining, open-air covered piazza/veranda poolside, many extraordinary amenities, on-site maintenance worker/gardener/guard with perfect English and Spanish to assist you. 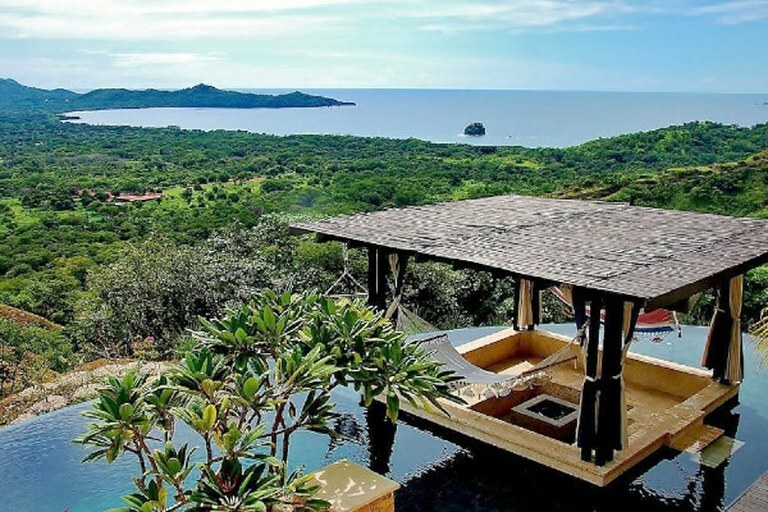 The are but only a few of these “rare find” majestic villas in all of the Guanacaste region of Costa Rica with the spaciousness, splendor and stunning appeal to guarantee your family and friends an unequalled, unforgettable visit in such an exotic, tropical paradise. 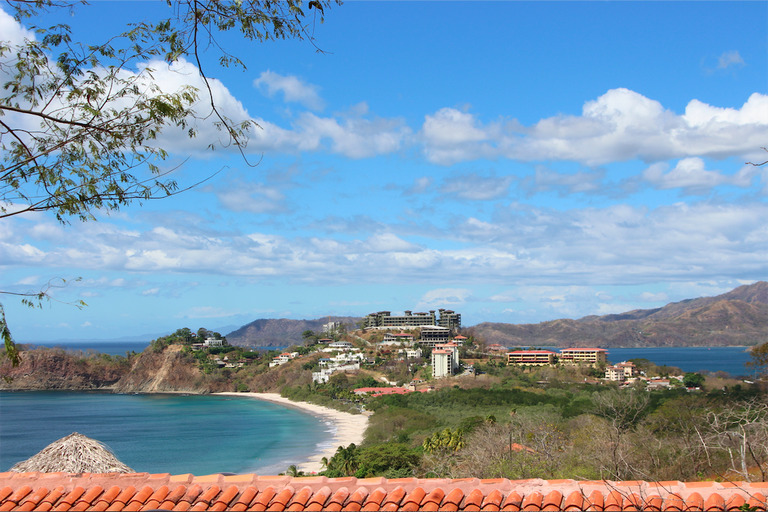 You will enjoy amazing ocean and beach views from every room of this spacious 2 bedroom 2 bath cliffside home. 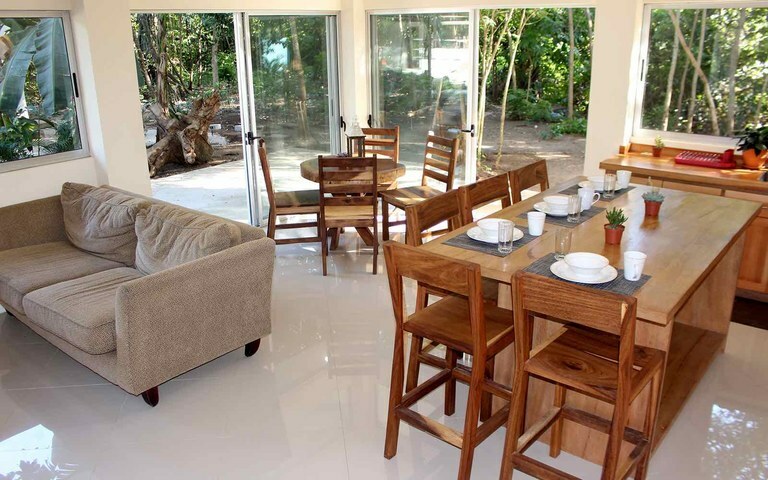 Casa Mega is one of 4 units in a small vacation resort. This house has an outside deck and two spacious outside porches. 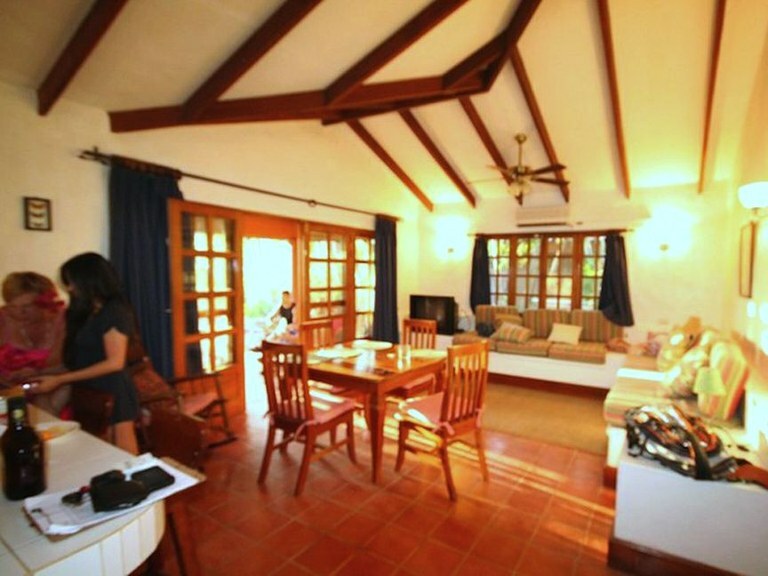 Each bedroom has its own bathroom, the living room leads via a bar into the kitchen and out to the screened porch area. This house has access to a community pool just steps from the side door. 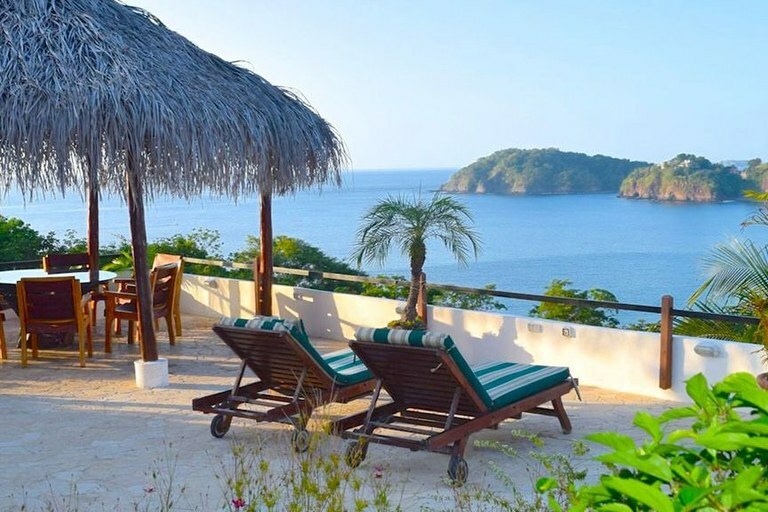 Amazing ocean and beach views can be enjoyed from any room.